DETROIT — Japanese air bag maker Takata is recalling an additional 3.3 million faulty air bag inflators as it expands the largest automotive recall in U.S. history. According to the National Highway Traffic Safety Administration (NHTSA), the phased recalls began in May 2016 stemming from previous Takata air bag incidents, and will continue through December 2019. Notices of the expanded recalls were posted Saturday on the agency’s website. 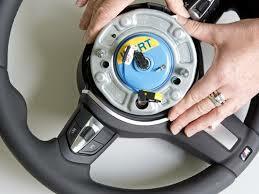 Takata uses the chemical ammonium nitrate to create a small explosion and fill air bags quickly in a crash. But the chemical can deteriorate when exposed to high humidity and temperatures and burn too fast, blowing apart a metal canister. That can hurl hot shrapnel into unsuspecting drivers and passengers. At least 20 people have been killed worldwide and more than 180 injured. NHTSA has said the Takata recalls are unprecedented in size and complexity and have resulted in groundbreaking lessons that will help automakers reach their repair goals. The agency said it is monitoring the automakers’ progress and working to expand best practices to boost completion rates. The agency also has the authority to fine automakers that don’t make recall repairs in a timely manner. The NHTSA maintains a list of vehicles affected and guidance on steps to take if a car is affected. To find out if a vehicle is on the recall list for defective Takata air bags, visit the NHTSA website. All defective Takata air bags are under recall and will be replaced for free. The NHTSA has an online lookup tool where drivers can enter a Vehicle Identification Number (VIN) to determine if any safety or recall issues affect your vehicle. The full list of vehicles affected by the air bag recall, broken down by manufacturer, is also available on the NHTSA website.